Can God Stoop Any Lower? This YouTube clip disturbed me this morning. It may be old news to you guys, but I just stumbled upon it. I’m all for being a fan of certain things, or teams, or people, but this is excessive to the point that it alarms and frightens me more than entertains or informs how we should act as men. When our love for a team eclipses our love for our children, or spouse, we have held our manhood cheap. Instead of being a man, we are infantile boys with the rights to drink, drive, marry, vote and own a gun – none of which we are mature enough to handle. I wish this Dad would man-up, love his family more than the Red Sox, repent to his younger son and honor his older son who was more of a man than the child nearly 10x his age on the other side of the counter. On the other hand, I can’t help but think that the Obama presidency will help Christians who happen to be American to open our eyes to our syncretistic views of American Christianity. While the fundamentalist impulse is to retreat into the ghetto, pull out the dispensationalism charts, and check the rapture ready index as a morning devotional, perhaps for the first time Christians will no longer seek to Christianize America but speak prophetically and live missionally in our growingly secular world. Our greatest need is not to fight the battle against the culture but to fight against the battle against unbelief. It is safe to live as functional atheists when we’ve got God in our constitution, on our coins, in the White House, but when the props are removed from us, how shall we then live? We must learn to live as missionary citizens. 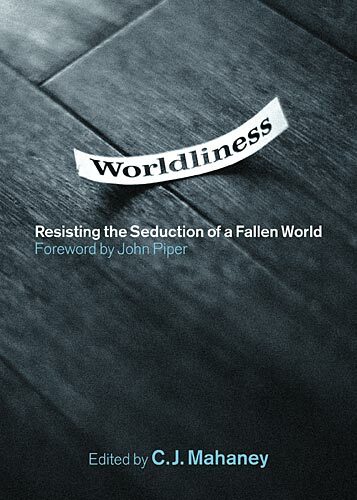 New Books: Church, Gospel, World, Reforming? Well, yesterday I came home and had several new books waiting for me. I thank the folks at Crossway who keep on sending me good and interesting reading material. I want to highlight a couple of these and tell you all to be on the lookout over the next couple of months for some reviews. Book #2 – Wordliness, by multiple authors, but edited by a pastor’s pastor, C.J. Mahaney. I wasn’t sure what to think of this book when I first started seeing it pop up on the web, but knowing C.J.’s other books (Humility: True Greatness and Living the Gospel-Centered Life) and pastoral heart (if you need some exposure, go check out his blog), I’m confident that this book will be insightful and helpful in discerning where and how the gospel applies to our world in our cultural situation. Book #3 – Reforming or Conforming edited by Gary W. Johnson and Ronald D. Gleason. This book appears to be a collection of various scholars critiquing the emerging church movement. I haven’t dove in at all, but I will be interested to see if they distinguish between emerging and emergent. Some of the chapters do seem fascinating (like “It’s Wright, but is it Right? An Assessment and Engagement of the “Emerging” Retreading of the Ministry of Jesus.” Caveat: I find myself being hesitant to read books like this. I have read some thoughts by some of these guys on the internet and find myself not agreeing with their conclusions. That being said, I do find myself appreciating the concerns they bring up. Reading this will hopefully bring the fundamental issues to the front with constructive critique and positive assessments instead of just the reactionary tendencies demonizing those who differ. 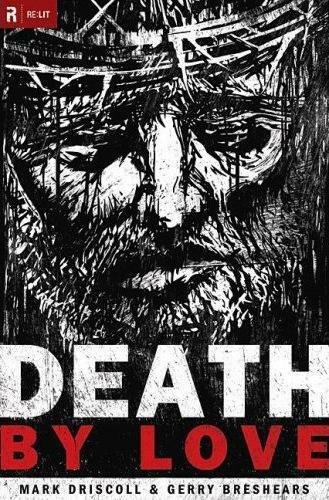 Book #4 – Death by Love: Letters From the Cross by Mark Driscoll and Gerry Breshears. This book looks fascinating. Its written as a series of letters addressing real live situations and people, with the full theological truth of the gospel. I wasn’t expecting that, and I like it. I honestly can’t wait to get into reading this one. It seems to have a lot of potential of to help all pastors and lay leaders alike appreciate the depth of theological reflection, without losing sight of its pastoral implications. This book also features some helpful answers to FAQ’s concluding each chapter (thank you Dr. Breshears for that!). This is similar to their previous book, Vintage Jesus. So, if you haven’t already done so, you should subscribe to my blog (button on the top right) and watch out for these forthcoming reviews. While microfinance can play a role in development it is not a panacea for poverty, and the way it is practiced now can have serious unintended consequences that actually undermine development. If it is going to be successful it has to help people move away from borrowing and stop promoting collectivist notions and a zero sum mentality that only hinders development. Microfinance can be the first step on the ladder but macro-finance is needed too. For widespread and sustainable eradication of poverty, an attractive investment climate with secure property rights and rule of law are much more important in the long run. When I read critiques like this, it makes me feel that it is wrong to assume that there is a silver-bullet, one solution answer to this problem. Such a complex problem requires a complex solution; and in essence, that is what the author was suggesting. You can read the whole thing here. But isn’t something better than nothing? Maybe its well intentioned, but ultimately misguided – kind of like the One campaign (according to fellow blogger AB). Still, does it mean we throw the short-term aide out for the sake of the long-term development? I hate false dichotomies, so I lean in the direction of saying…do both!Why do I put this on my blog Intersection? Because I believe that every area of life is one where life and faith converge, and that being a Christian – meaning, someone who trusts in God and lives in light of God’s kingdom breaking into our present reality (i.e. “on earth as it is in heaven”) – means that I am a co-conspirator in God’s restoration project. That project is bringing the entire breadth of His world into a right relationship with Him – functioning as it was intended to. Poverty is an effect of sin in the world, which is to simply say that it is not the way it’s supposed to be!I think and believe that these issues that the rest of the world faces (like poverty, like AIDS crisis, like Environmental conservatism, like child abduction and forced prostitution, etc…) are to be addressed aggressively and comprehensively by Christians, and if we’re not the ones taking the lead on such issues (instead of arm-chair quarterbacking it, or waiting on the government, or Bono, Brad, Angelina and George) then we’re really not doing our job. Now I say that boldly out of conviction, but humbly, because I fail to live in light of it perfectly. So, I’m open to suggestions of how to be a better thoughtful and willful believer. You got any? I would have to say that I think Driscoll stands outside of Anthony’s critique – at least to some degree. I included him because he takes alot of hits (at least it seems) from some of his Reformed brothers and sisters. Thoughts, comments, suggestions?Check out the original post over at Anthony Bradley’s blog.